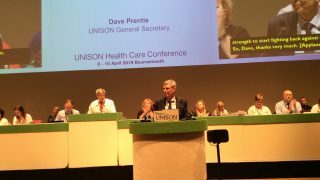 Responding to the news that Interserve has failed to persuade shareholders to approve a rescue plan for the company, UNISON general secretary Dave Prentis said: “This is yet another example of privatisation failing catastrophically at the expense of public services. “Thousands of workers including school cleaners, catering staff and people working for probation contracts run by Interserve will be left wondering if they still have a job. Interserve Plc went into administration on Friday 15 March. . We are working to ensure our Intersevrve members retain their jobs, pay and pensions.